This live concert video corrupted after over 40,000 views, so add that to the total you see below the screen. 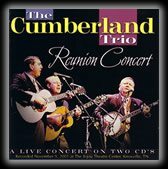 This is The Cumberland Trio’s hard-driving bluegrass version of one of their signature songs and anthems, Rocky Top, performed at their Sept 24, 2004 renunion concert, Back Where We Began, at the historic Bijou Theatre Center, Knoxville, TN, USA. 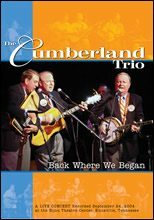 This great song features one of the three best dobro players in the world, the incredible Lou Wamp (www.louwamp.com), on the instrumental break, along with the driving banjo of the Trio’s own Andy Garverick. The crossover harmonies on this one are…just listen. It also features the nation’s # 1 college football mascot from the University of Tennessee, Smokey, who literally brings the house down with his antics during the song’s performance. This seminal folk group from the ’60s folk boom era has reunited with a vengeance in their ’60s and are even better than they were back in those days of the folk era- and THAT is saying a LOT!